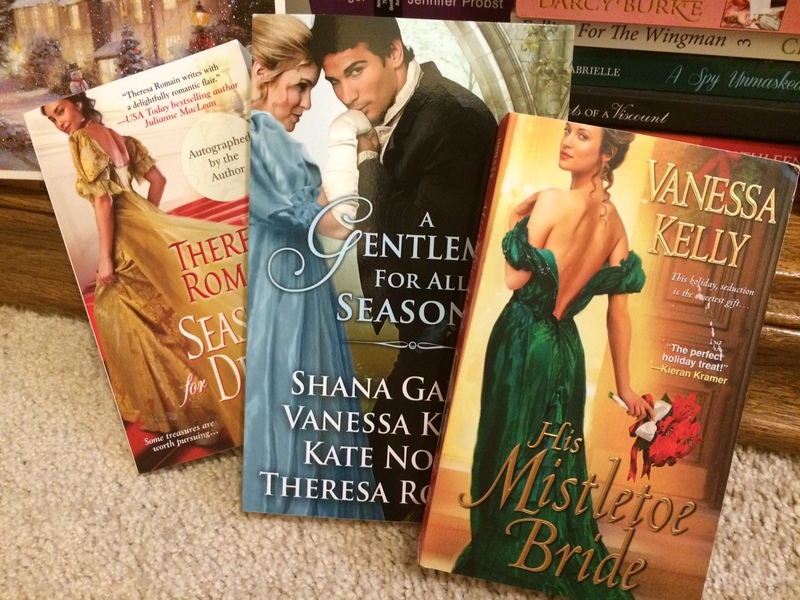 Last chance to enter this FABULOUS contest for historical romance readers. Enter to win 35+ books and also a $100 gift card. There are also runner-up prizes too, so you’ll want to check this contest out. The contest closes this evening. And I’m hanging out today at Romancing Rakes 5th Annual December Joyathon, an extravaganza of holiday romance all month long. Pop by to chat with me and also win books, including a copy of HIS MISTLETOE BRIDE. It’s a holiday-themed giveaway on my facebook page. I’m giving away a print copy of HIS MISTLETOE BRIDE, my Christmas romance, and also a copy of SEASON FOR DESIRE, by Theresa Romain. 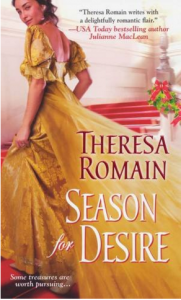 If you’ve never read one of Theresa’s lovely books, here’s your chance! Just stop by my facebook page to enter. Check out this amazing holiday contest! 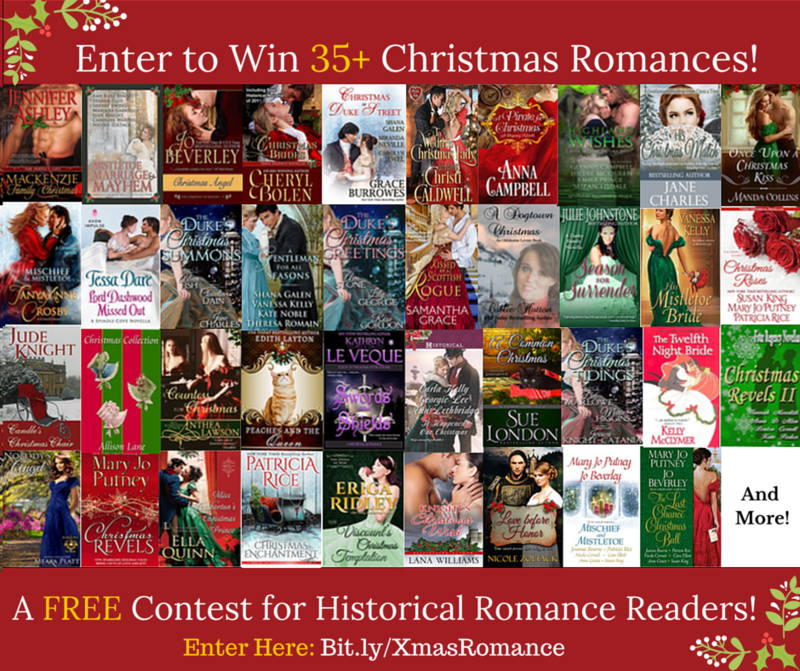 You could win dozens of Christmas romances (including two of mine), plus a $100 gift card. And there will be nine additional winners too, all winning a prize pack of 10 books. Talk about getting you in the mood for the holidays! 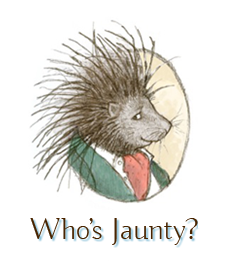 On The Road with the Jaunty Quills & Giveaway! I’m doing my regular gig at The Jaunty Quills today, talking about things large and small that make me grateful. 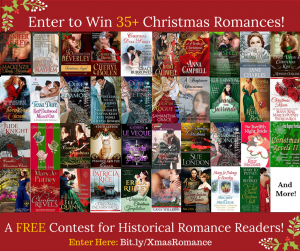 Please stop by to share your gratitudes, and for a chance to win a copy of my Regency Christmas romance, HIS MISTLETOE BRIDE.